I used a Jo Wheatley recipe from ‘A Passion for Baking’. We made 16 cakes although our cases were quite full so you could make even more with slightly less mixture in each case. You will need cake cases and 2 bun tins. 1) Preheat your oven to 180C/350F/Gas 4. 2) Cream the sugar and margarine together until pale, light and fluffy, either by hand using an electric whisk or in a free-standing mixer. 3) Gradually add the eggs, mixing well between each addition (if you’re mixture curdles add a teaspoon of the flour). 4) All the flour and mix until thoroughly combined. 5) Spoon the mixture into the paper bun cases, filling each one half full. 6) Bake on the middle shelf of your oven for about 15-20 minutes until golden brown and well risen (a wooden skewer or cocktail stick should come out clean when pushed into the cakes). 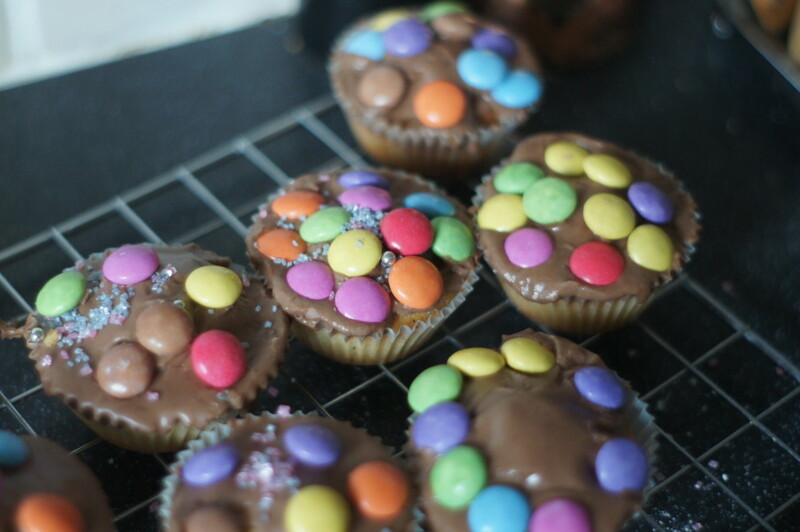 7) Remove the cakes from the bun tins and leave to cool on a wire rack. 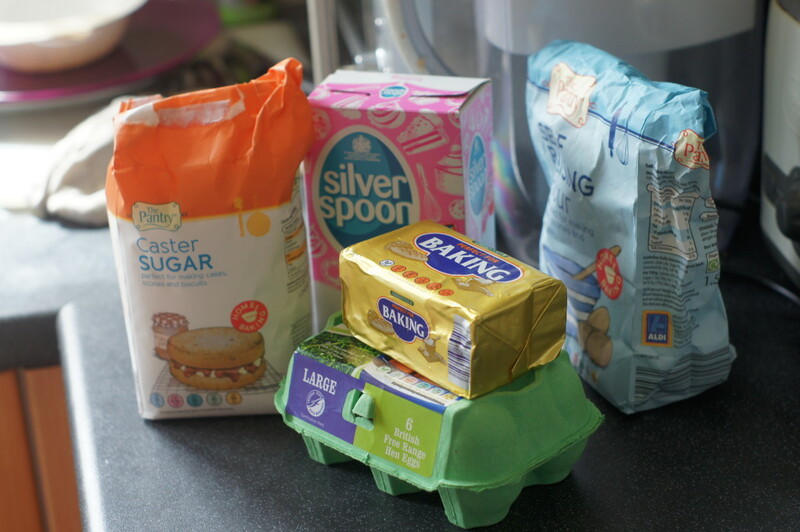 8) Mix the icing sugar with enough water to make a thick paste (add colouring at this point if using and any flavourings e.g. cocoa powder). 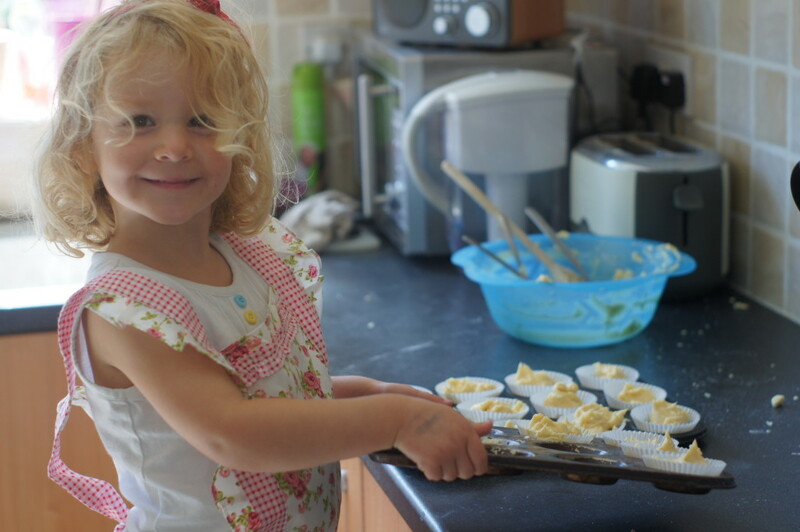 9) Spoon the icing sugar over the cooled fairy cakes; while the icing is still wet, decorate with your chosen decorations.